Did you make any decision to renovate your kitchen and home? Before getting started, you should think about some latest trends in kitchen and home designs so that all your renovation includes the currents styles and ideas. Renovating a kitchen is actually a smart way to enhance the entire home, and it indirectly renovates the home too. Real state people also agree that a structured and proper kitchen attracts more and more buyers. Whether you want to add and change a few parts of the home or kitchen, or you want complete remodeling, homeowners will add more value to the home and improve its look in every way. Minimalism: Lots of kitchen renovations now revolve around minimalistic theme, meaningless equals more. This resulted in production of more bench tops which are straight and long, and the cupboards in the wall taking less space. Open shelving and gloss finish is becoming popular too. Safety: Nowadays, not just moms, but dads and children also cook, hence safe renovation will minimize chances of injuries. Eco-friendly: The world is now moving ahead towards environmentally friendly works, and kitchen renovations should also involve same aspects. Installing LED lights, purchasing cabinets which emit low volatile compounds, reducing air pollution, etc. helps to remain Eco-friendly all time. High technology: People now add technology to kitchens, making it look sophisticated. Television sets are popular devices one can find in the kitchens. Others include electrical stoves, ovens, refrigerators, ventilation's etc. Hidden appliances: In earlier days, people used to keep ovens and expensive devices on display in kitchens. Now, people make use of smart ways to hide them. Fridges now are built shallower, and other utensils are hidden in cabinets and drawers. This makes the exterior look unique in every way. Let us now have a look at some points to consider before home renovation. Budget: Plan a budget before making other decisions. If a minor remodeling has to be done, you can consult family members or friends, but for big plans, think of loan options or you can talk with your contractor. Be realistic: When it comes to budget and resources, you need to be realistic and know your ability to complete the task. If you have bigger plans, than waiting for a while and making no hasty decisions is a good choice. Research: This will make you understand about what to expect, and how to plan for your renovation. You can find pictures, get new themes or concepts, and incorporate it in your home. Focus on the small details too: In order to avoid hassle over wrong tasks, and buying wrong items, make sure to keep an eye on all the tasks and check everything twice. 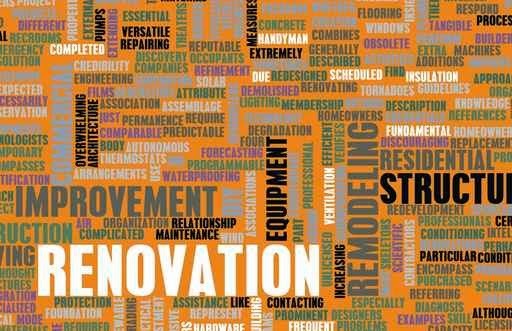 Long term renovations: No matter what you are updating or changing, remember that should have long lasting effect and you need not work on it always. Energy: Try to add sealing duct work and insulation, they are energy efficient sources. Now that you have known a lot about kitchen and home renovations, make sure to apply the above mentioned points for your designs. Click here to get more information about Home and kitchen Renovations.